Caroline is an established company director and senior executive with experience in large listed corporations in the health, retail and ICT sectors, and professional services firms. As Chief Marketing Officer of a global law firm in Australia, she has re-positioned the firm’s brand and practice to improve its market share and work type in key areas. While at David Jones Limited, she focused on complex matters including balance sheet restructures, reputation defence and influencing regulatory change to drive shareholder value. She was recognised as a “driver of revenue” instead of a “gatekeeper”, eg via the introduction of innovative pricing in a highly regulated pricing space. Caroline’s ICT experience includes technology advisory work, major procurement and supplier contract negotiations and the practical application of competition laws. Her governance experience includes advising public company Boards on stakeholder, capital and risk management issues. Caroline holds an LLB (Hons) degree from London University and is admitted to the Bars of England, Malaysia, Australia and NZ. She is also a Fellow of the Governance Institute of Australia and holds a Graduate Diploma from the Australian Institute of Company Directors. 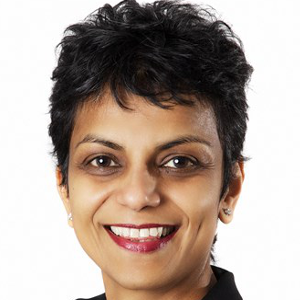 She is an Australian citizen with commercial fluency in Bahasa Malaysia and Bahasa Indonesia, and conversational fluency in Mandarin and the Indian languages of Tamil and Malayalam. Since 2003, Caroline has been a volunteer with the aged and vision impaired, resulting in her appointment to related boards.